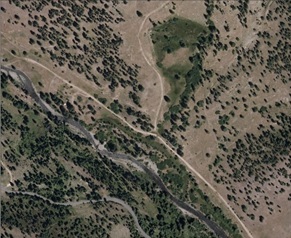 The Tetra Tech Geomatics Group provided topo-bathymetric mapping of 85 miles of stream courses in eastern Oregon to support of hydrological analysis. The data was collected at a density of 8 pts/m2 and ground classified. The bathymetric portion of the data was collected with a green laser capable of penetrating the water column to 1.5 secchi depths. 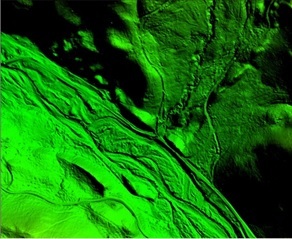 The stream bottom was merged with the upland ground class and interpolated across nodata areas for continuity. Color orthophotos were produced from large format digital camera exposures to provide context.